Pa. woman who disappeared in 2002 found in Fla.
LITITZ, Pa. (AP) — A central Pennsylvania woman who mysteriously disappeared after dropping off her children for school 11 years ago has surfaced in Florida and has told police she traveled there on a whim with homeless hitchhikers, slept under bridges and survived by scavenging food and panhandling, authorities said Wednesday. Brenda Heist, 53, had been declared legally dead, Lititz Borough Police Det. John Schofield said. The detective said he met with her in Florida on Monday and she expressed shame and apologized for what she did to her family. Heist was going through an amicable divorce in 2002 when she got some bad news about future housing plans, Schofield said. She was crying in a park when some strangers befriended her, then invited her to join them as they began a monthlong hitchhiking journey to south Florida, he said. Her ex-husband got the courts to declare her legally dead two years ago and he has remarried, Schofield said. "She has a birth certificate and a death certificate so she's got a long ways to make this right again," Schofield said. "She's got to take it slow with her family, I'm sure, and it's going to be a long process." Inside her home the day Heist disappeared, dinner was defrosting and the laundry was half done. Police located her car in a neighboring county but none of her personal belongings were taken. When Schofield called to meet with her ex-husband Lee Heist and their daughter, they assumed he would be notifying them that her remains were found, the detective said. Lee Heist struggled financially after his wife disappeared, losing his job and his house, the detective said. She had been a bookkeeper at a car dealership. 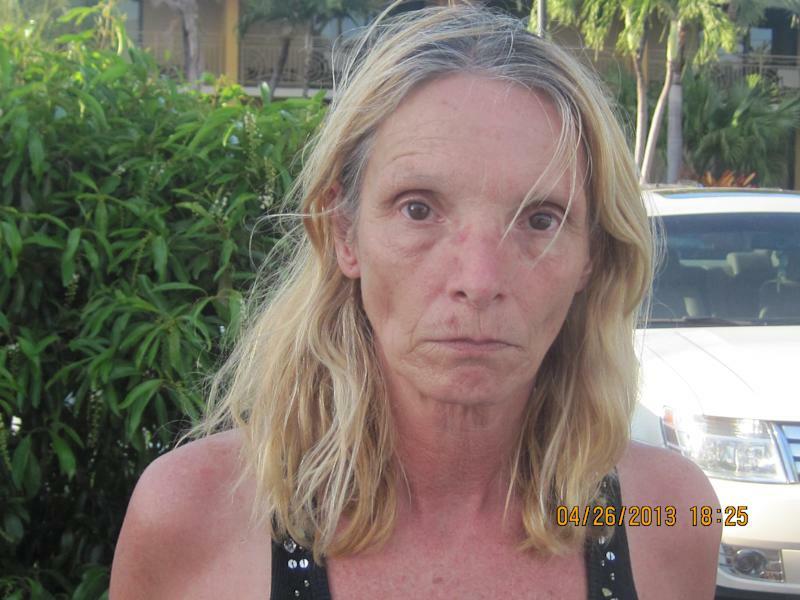 Heist turned herself in to Monroe County sheriff's deputies in Key Largo, Fla., on Friday, regarding some outstanding warrants, and then informed them she was a missing person. She had apparently been homeless for the past two years, most recently living in a tent community run by a social service agency. For about seven years she lived with a man in a camper in Key West and worked odd jobs. Schofield said she never had access to a computer and never checked to see if she was being sought, although she assumed she was. Heist's daughter is now a West Chester University sophomore, and her son recently graduated from the same college. Schofield said police in Florida were trying to sort out the warrants issue, but she was expected to be released soon, perhaps later on Wednesday. The Monroe County Sheriff's Office said Heist was in "protective custody," although not with the office. The sheriff's office did not immediately respond Wednesday to a request by The Associated Press for a way to contact her. Heist has a brother in Florida and another brother and her mother live in Texas, Schofield said. AP writer Curt Anderson in Miami contributed to this report.